The Hotel Valadier provides a comfortable and reliable airport transfer service for its guests, from both Fiumicino and Ciampino airports and from the port of Civitavecchia. 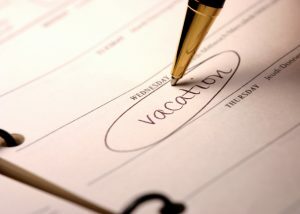 Book the service directly online or through overbooking. 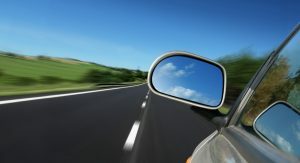 Alternatively, you can book our private pick-up service with the same procedure. 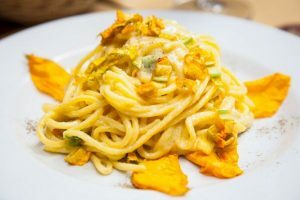 The Valadier Group restaurants will surprise you for their creative cuisine and unique locations. A breathtaking view awaits you on the rooftop of the Hotel Valadier. 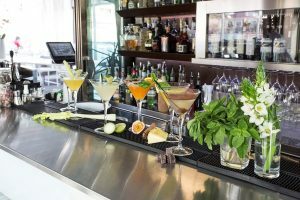 This is the key feature that makes Hires the ideal venue for an exclusive aperitif or an extraordinary night out. The large terrace is covered in winter and open in summer and offers traditional Roman cuisine and fusion and ethnic inspired variations, with a Tartar Bar and Wok & Grill Corner. Come and enjoy Rome high up at the top. Rome features an incredible concentration of art and history and offers its visitors thousands of primarily cultural attractions and opportunities. The Valadier Hotel provides a ticket booking service for museums, exhibitions or art galleries. For information or reservations contact the Ticket Booking service at the Reception. 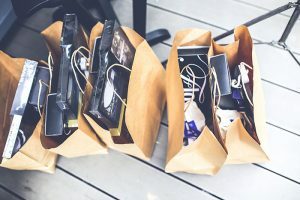 Shopalcoholic will find an all-round shopping experience in Rome, ranging from the showrooms of the major fashion designers to streets full of jewellers, tailors and antique shops. Via del Corso, connecting Piazza Venezia to Piazza del Popolo, is lined with shops of every kind, from clothing and sportswear to designer labels, from shoes to accessories. The most prestigious names of Italian and international fashion are concentrated in the area around Via Condotti, Via del Babuino and Via Frattini and for those who love the opulent luxury of gold and precious stones you certainly shouldn’t miss the jewellery shops in Via Bocca di Leone and Via della Vite. For those who love the outdoors Rome has the ideal place. 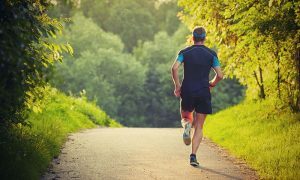 Put on your shorts and trainers and go out for a jog in nearby Villa Borghese park. This huge park, laid out starting in the Renaissance period, is considered the capital’s green lung, with its numerous gardens, ponds and sculptures. A place where sport, culture and relaxation reign supreme. You’ll never tire of always discovering new routes in this green oasis in the heart of the Eternal City. An elegant and comfortable fitness room with the latest generation professional Technogym® equipment is available for Hotel Valadier’s fitness-minded clients. Upon request, qualified personal trainers can be called on to assist the client, who will be able to enjoy a great workout in the comfort and privacy of the hotel gym, to make their vacation one of fitness as well. Fun Moving: a rental service for electric cars (golf cars), free to circulate in all restricted traffic zones in the territory of Rome. The Funmoving services run throughout the year: in fact, the vehicles are equipped with a roof covering to protect against the rain and the cold. 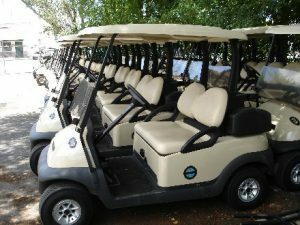 The golf cars can be delivered to any spot requested by the customer. Tourist itineraries with the aid of specialized guides, who speak the main foreign languages. Services from Monday to Sunday. Fun Moving Bike: rental of bicycles equipped with three-speed gears, for moving around the centre of Rome. After booking, the bikes are delivered directly to the spot requested by the customer. 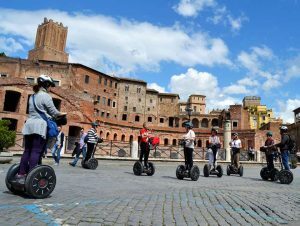 You will discover the charm of the Eternal City on the Segway. 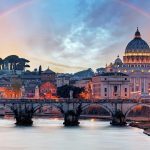 Tour of one or more hours, starting from People’s Square, the Park of Villa Borghese or Castel Sant’Angelo, with a leader or a multilingual speaking guide to reach in an easier and funny way the selected sites. Visit: Spanish Steps, Colosseum, Roman Forum, Pantheon, Piazza Navona, St. Peter’s, Castel Sant’Angelo, the Tiber River through its cycle paths, the park of Villa Borghese, etc.., All sites reached by following different routes. For more information contact the Front Desk staff.